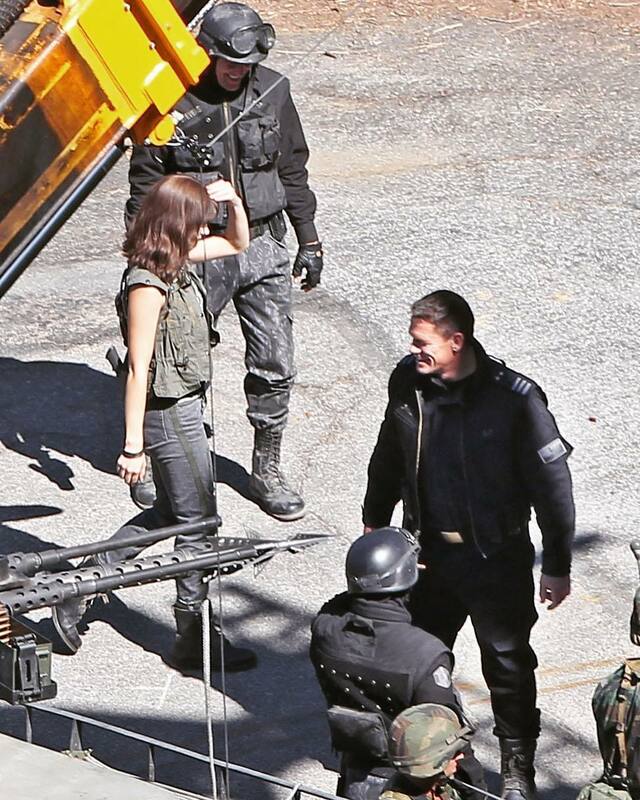 Thanks to a behind the scenes photo from an Instagram fanpage dedicated to Hailee Steinfeld, we have with us our possible confirmation of John Cena‘s role on Transformers Universe: Bumblebee movie. Spot him if you can see him and squint to see what’s written on his jacket. It’s unmistakably the same Sector 7 logo spotted on another Sector 7 agent not too long ago. 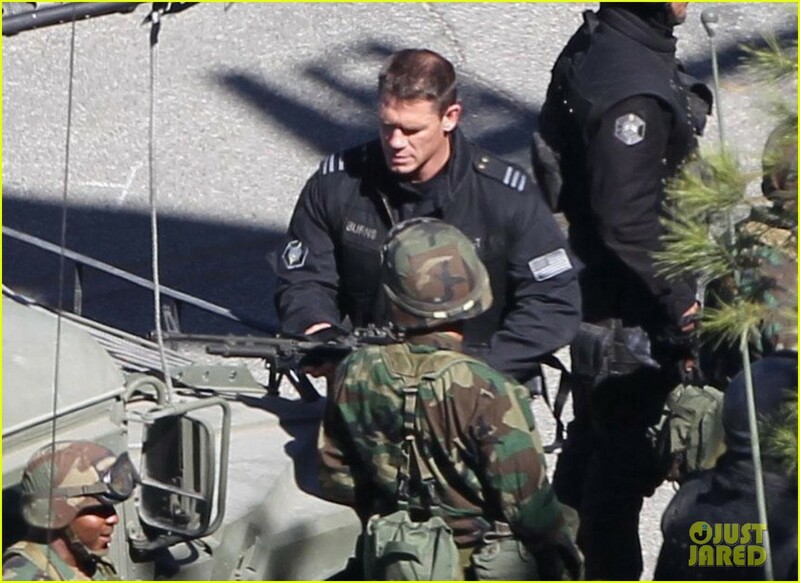 Come to think of it, he’s wearing the same uniform as the S7 Agent we saw on the set previously. Talking to Mr. Cena is our beautiful star actress Hailee Steinfeld. Right next to them is a harpoon-like device on top of a vehicle. If you shift your memory back to the first Transformers movie (2007) you may notice that Sector 7 used a similar contraption to capture Bumblebee and take him away to Hoover Dam. The filming location has been moved to Los Angeles, California. Looks like that he is going to be an antagonist. So Mr. Burns works for Sector 7? For some reason it made me think of the Simpsons. Homer works in Sector 7G. I hope this Movie is great !!! "Assuming they don't break continuity again" being key here! So Bee might talk in this one? I remember when I used to defend the heavy military presence of these films. Now it just annoys me. So now our G1-nostalgia trip prequel spinoff is confirmed to have S7 (probably?) be more than just a throwaway cameo and now combines their part of the Bayformers lore with Rescue Bots? Consider me genuinely surprised and pretty hyped. TRS= Transformers Response Squad? Also, they're using the font from the 1st trilogy for the Transformers sign. That's cool. The good guys dress in black, remember that. Just in case we ever face to face and make contact. The title held by me: Agent B. Means what you think you saw, you did not see. So don't blink, be what was there is now gone. Black suits with the black RayBans on. Walk in shadow, move in silence. But yo I ain't on no government list. I straight don't exist – no names and no fingerprints. Saw somethin' strange, watch your back. 'Cause you never quite know where Agent B is at. Are they setting up the back story for Chief Burns? That would be interesting. 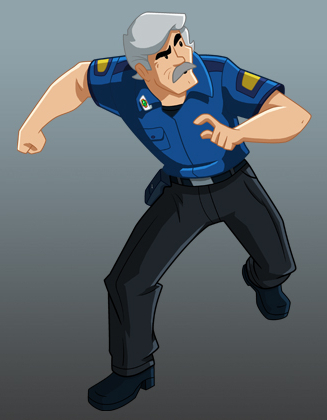 Would make sense that Optimus would entrust Chief Burns to temporarily adopt and work with the Rescuebots. Closer shots from Just Jared. Looks like Cena's name in the movie is BURNS. Chief Charlie Burns, is that you?